LASIK is a type of vision correction procedure that was introduced in 1996 and has fast evolved to become one of the most common elective procedures all over the world. Laser technology has managed to make a significant improvement, in the way ophthalmologists carry out eye operations. Laser procedures are reported to be a lot more accurate for treating eye conditions such as cataracts, glaucoma and astigmatism. Modern LASIK surgeries are based on laser technology and have become extremely popular in the global ocular industry. Traditional LASIK requires a surgeon to make use of a ‘microkeratome’ blade for cutting a flap in the eye cornea. 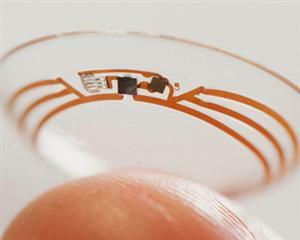 This blade is an extremely small-sized customized ophthalmic device. The cut is followed by the lifting of the flap to allow for the reshaping of the cornea with lasers so that the patient’s vision can be corrected. The surgery involves minimal discomfort for the patient. In the last 10 years, an alternative approach for LASIK flap creation was introduced; one that utilizes a high- energy laser (called femtosecond laser) rather than a blade. This type of lasik surgery, also termed as “all-laser LASIK” , or iLASIK makes use of an intra-lasik femtosecond laser for creating a flap in the eye cornea, thus replacing a microkeratome device. consistency makes LASIK a particularly brilliant option for those patients who have thinner or more curved corneas. Cataract is among the oldest eye surgical procedures and commonly performed by eye doctors all over the world. The traditional cataract surgery is carried out with the help of surgical blades. However, modern cataract surgery uses femtosecond lasers for making the required incision. The lasers help in breaking the affected eye lens into small pieces and offer greater accuracy as compared to blade-assisted surgery. Similar to bladeless LASIK, the increased accuracy and safety of the laser makes it an attractive addition to surgery for both patients and surgeons.